The New York Rangers remain in fairly constant contact with numerous teams about right wing Mats Zuccarello, whom the Rangers are expected to move by the Feb. 25 trade deadline. Several teams have expressed interest in acquiring Zuccarello, who is in the final-year of a four-year, $18 million contract. He’s scheduled to become an unrestricted free agent July 1. In 35 games with the Rangers so far this season, Zuccarello has registered eight goals and 16 assists for 24 points. It’s unclear what the Rangers’ asking price is, exactly, but it’s safe to believe the club would want a high draft pick and a top prospect as part of a package for Zuccarello. The 32-year-old isn’t the only member of the Rangers generating interest, of course, as teams have continued to inquire about the availability of pending UFAs Kevin Hayes and Adam McQuaid, as well as forward Chris Kreider. Zuccarello’s most productive offensive season came in 2015-16 when he picked up 26 goals and 35 assists for 61 points – the only season in which he scored 20+ goals. He’s also amassed three 50+ point seasons. 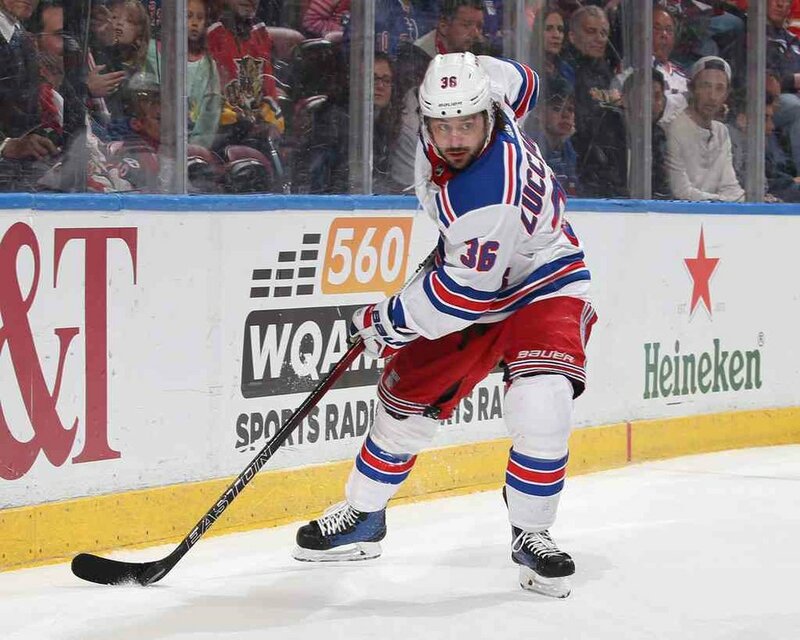 The Nashville Predators, Edmonton Oilers, Boston Bruins, Buffalo Sabres, Colorado Avalanche and Dallas Stars are all in the market for more fire power up front and could be among the teams with interest in Zuccarello.